Click here to read the beginning of the Top 10 of Project Manager Duties 1/2. In these constrained times, being able to effectively deliver the project budget set when estimating project costs is absolutely vital part of a project manager duties. Therefore a project manager has to become extremely creative in finding ways to get what is required completed within the given budget for a project. Needless to say this is a great deal easier to do than you might think, and it is something which project managers definitely become more adept at doing with more experience. Whilst this is not a set in stone project manager duty, the reality is that you cannot progress in the profession unless you are skilled at effective project communications. After all if your team and resources are constantly wondering what is going on in the project, or are confused when key dependencies are going to be delivered, then your project is going nowhere. As already mentioned, project management is all about the soft skills such as being able to deal with people, and effective project communications management. Being effective at managing project teams and moulding them into a successful project team is something which experienced project managers do as part of their duties, but is certainly something which new project managers struggle with. Being able to effectively manage the expectations of your project management stakeholders and sponsors is a major part of a project managers duties. Now the longer you are in the profession the more likely that you will have devised a stakeholder strategy to enable you to minimise the amount of time spent both communicating, reporting and reassuring this key group. There is absolutely no point in delivering a project which promptly crashes the minute it launches. As a result a duty of a project manager is to ensure they conduct effective project quality management in accordance with the project quality plan devised by ITQA. This is the last project manager duty. Never forget that when you are in this role you are ultimately responsible for delivering the project. As such you need to demonstrate sufficient leadership and direction to ensure the project not only delivers what is required, but within the timeframes, budget and quality set. 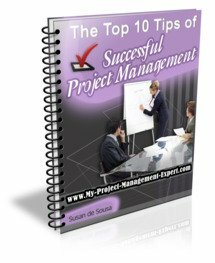 Our Top 10 gives you a good overview of the type of project manager duties you should expect to have when running a project. However there are obviously many more which we haven't covered for the simple reason that they are far more subjective "soft skills". By this I mean that what I might consider to be an important duty of a project manager, another seasoned professional might not agree with. Examples of this include directing the detailing of the business requirements documentation. Effectively running the change request process and of course getting heavily involved in the process of software development as well as stages of software testing. Remember as a project manager you are responsible for delivering the project. Therefore you need to do whatever is required to ensure that happens.